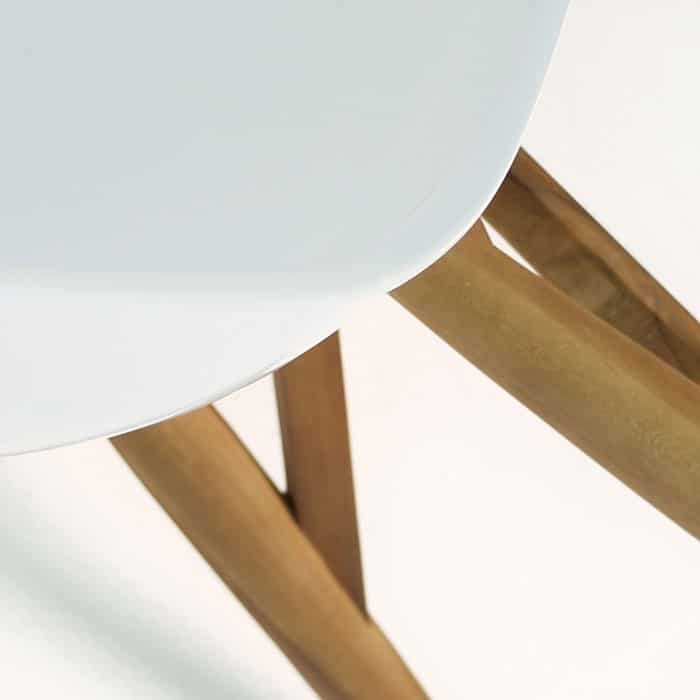 The Bistro dining chair is a brilliant throwback to modern style, with the super glossy gel-coated fibreglass seat and the intricate legs, made of reclaimed teak. 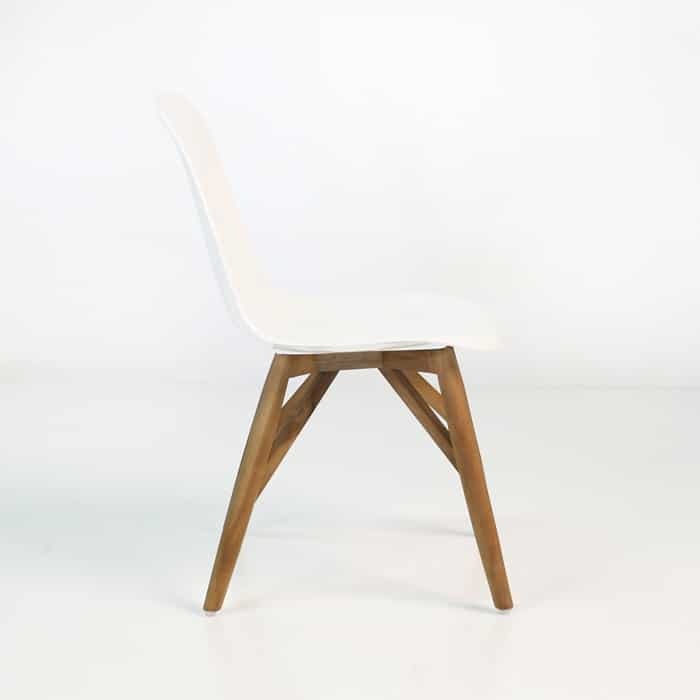 A perfect take on the stylistic endeavours of the era, this piece is as at home now as a piece like it was originally. With the powerful contrasting colours and the ultra-smooth seat, it fits perfectly with any modern or contemporary setting. 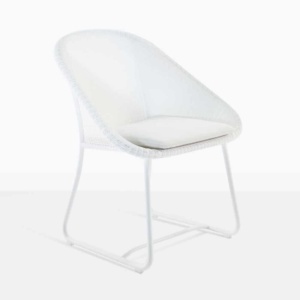 As an outdoor dining chair, you’re sure to get your guests talking with the impeccable finish and build quality of this iconic chair. 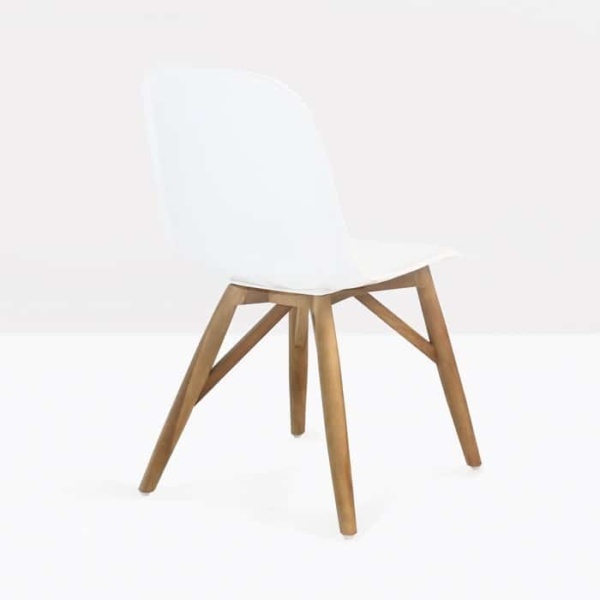 The Bistro Modern Dining Chair is an outdoor dining chair that is beautifully reminiscent of some of the more impactful mid century modern chairs, the Bistro chair is a gorgeous and sturdy tribute to the playful lines of the mid century movement. 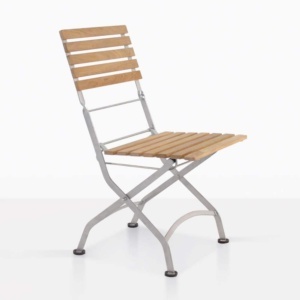 A gel-coated fiberglass seat is formed into a beautiful glass-smooth seating surface, and attached to a sturdy and gorgeous teak wood frame, which offers a great platform in style and function.